On the cusp of the new millennium NJBA A+U were part of a new urban space initiative championed by Jim Barrett City Architect at Dublin City Council. Several under-utilised and under-valued spaces across the city were identified as part of the strategy. Taking advice, suggestions and direction from the city architects and transport departments the task was to find a suitable model for urban renewal. Concerns regarding the use of these spaces were paramount. Where social activities were positive they should be enhanced and where those activities were anti-social, proposals had to alleviate or deter. Supporting mechanisms such as active public frontage and housing were important components of any solution. In addition, where suitable, existing traffic use, including parking, could be maintained if it supported activity. 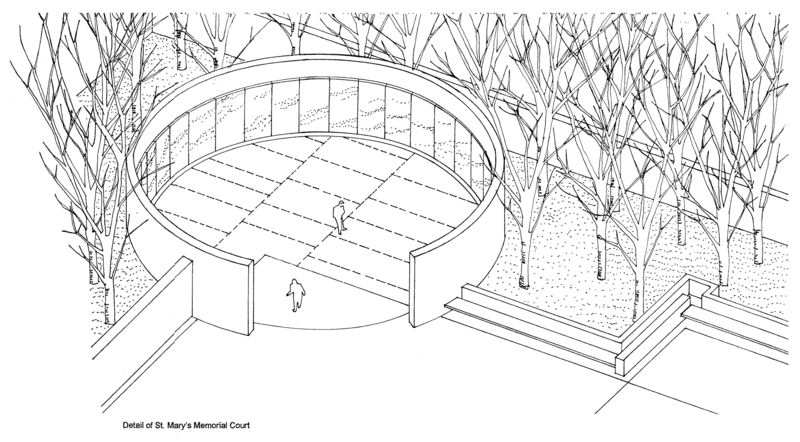 In this proposal, shared spaces were a key strategy to ensure valuable public activity, especially in font of the church. Commercial uses along the edge of the spaces are re-enlivened with robust hard landscaped space augmented with trees and public lighting. Where viable, residential uses above shops support passive surveillance. A new mixed use building on the edge of the main public space provides financial subvention for the public realm works. The existing condition also suffers from access problems. The crossing is difficult due to its unique geometry, topographical variation and traffic levels. Safety was a priority from a traffic management perspective. This scheme proposed both shared spaces for the low density areas alongside public functions in front of the shops and the church. For the main crossings more direct connections were proposed and the usual pedestrian barriers removed to facilitate easier movement of pedestrians. This would necessitate a pedestrian prioritised lighting sequence. Regretfully this scheme was not progressed. It remains only in sketch form a potential solution. 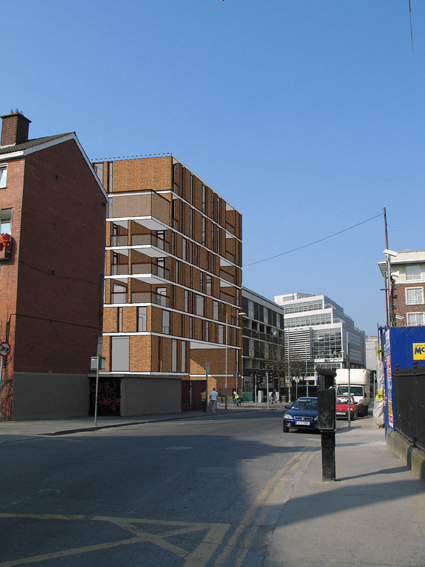 NJBA A+U has been carrying out research into Air Rights projects in Dublin to leverage the potential of under utilised sites in and about the city centre. 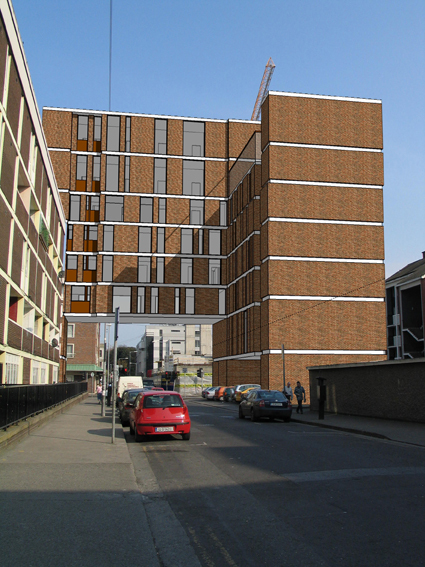 Air Rights I for York Street in 2007 was selected for exhibition as part of the AAI’s (Architecture Association of Ireland) 2008 annual awards. 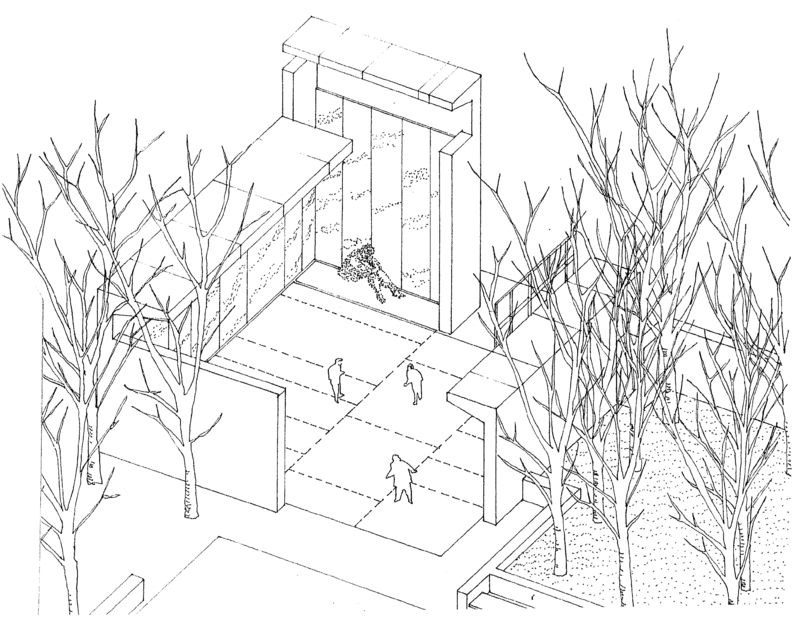 At York Street the proposal examined the under utilised space over the public realm, a street. By exploiting the geometry of the space it showed how the city can be meaningfully stitched back together to create necessary ad desirable urban accommodation. Addressing the twin concerns of much needed urban housing and by reducing the carbon footprint of the city Air Rights I offers a view towards what is possible. While Air Rights I addressed the nature of the public realm, Air Rights II examined the possible intensification of the private realm. 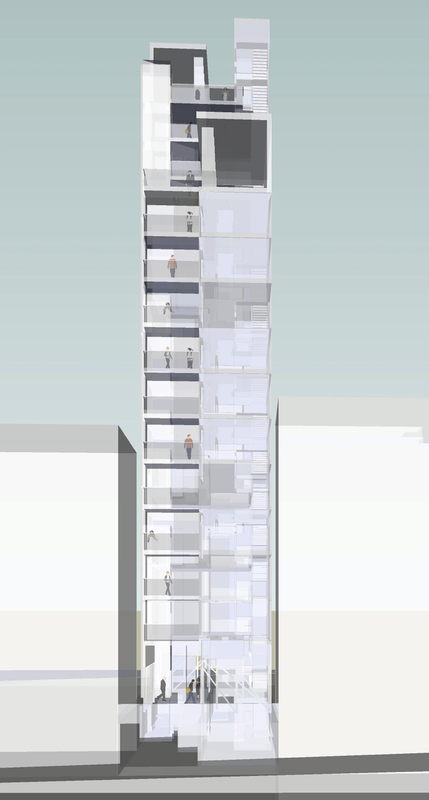 Silver Sliver is a proposal for a tiny site between two office developments exploiting the under utiilised space left over. This particular site consisted of an existing single storey concrete framed retail unit with a roof car park overhead. The site is under utilised apart from the car park with two blind gables looking down on the space in between. This sliver site can be easily adopted for use as a residential use. A lack of housing in the city and low density development means that citizens are forced outward to suburbs and dormitory towns, fuelling increase in CO2 emissions and long commutes. Crippled by inaction and an excess of vacant land and empty buildings there appears to be resistance to exploring other solutions. A light timber framed CLT system of standardised panels with CLT floors is an ideal material and technology for occupying this space. By using the flat deck of the concrete roof (suitably reinforced) will allow a bolt on timber solution. Rising on the back of the concrete structure the new stacked system of full height CLT panels allows the creation of what Corbusier called “Vertical Sites”. On these “sites” it is possible to provide for a pair of twin 2 bed apartment units. Rising above the street line a stepped plan and section shows how narrow sites can be occupied with minimal loss of light and air. With weights of at least ½ that of a comparable concrete superstructure the new design rises effortlessly above the squat 1 storey retail unit. The Retail unit is to be converted to a foyer for the new facilities providing a café and other communal services. Above this level is a social “garden” space for use by the residents. 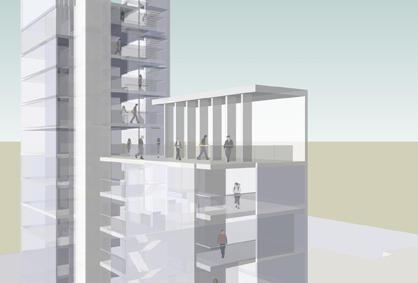 At the roof level of the new structure two additional social spaces are provided for the residents. 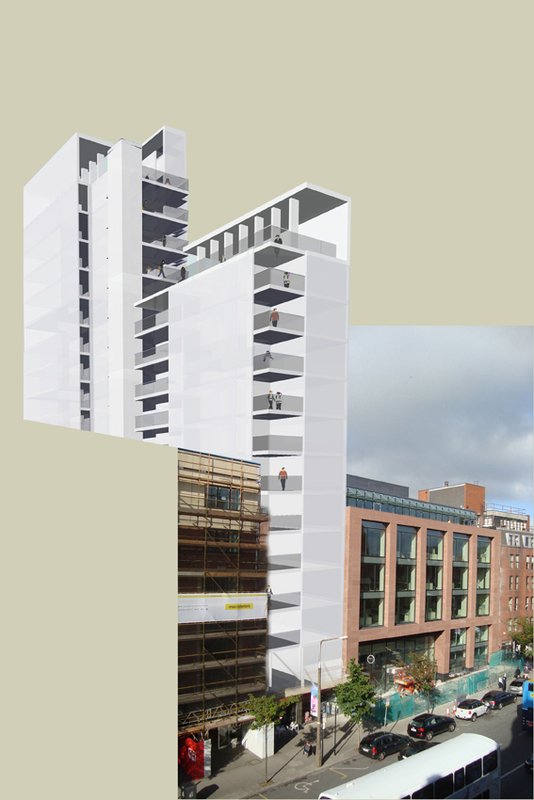 The new structure provides for 25 generous 2-bedroom apartments with natural cross ventilation and an open deck access to the central lift and stair core, for necessary fire protection. The external skin is to be unfinished aluminium panel rain screen over insulation becoming a beacon in the environment for a new vertical city. The tall roof elements that cover the social spaces are also ideal for using PV panels to generate some of the energy necessary for the building’s operation. The system of construction using large numbers of repetitive elements allows for an economical solution and a rapid build. NJBA A+U’s research continues with Air Rights 3.0 which will begin identifying additional sites for examination. 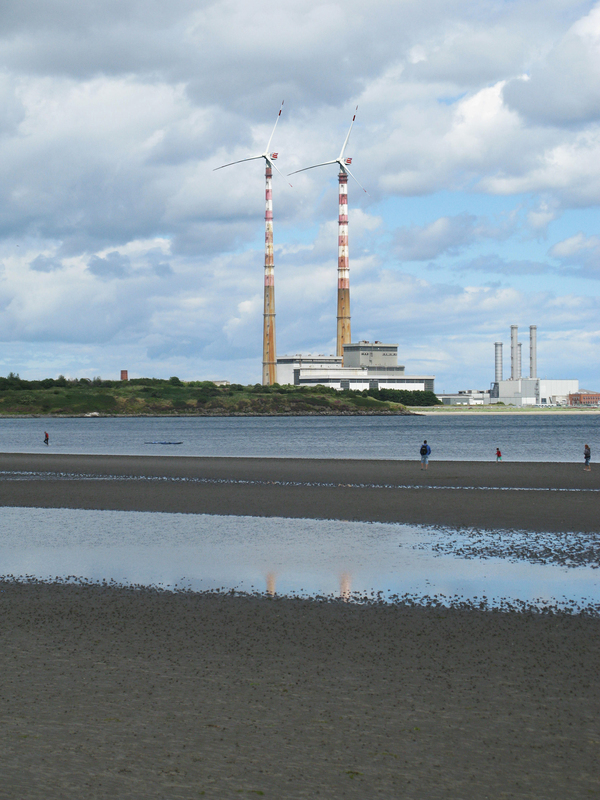 The towers at Poolbeg may no longer be in use and though the ESB has shelved plans for their demolition there remains a gap that requires resolution. 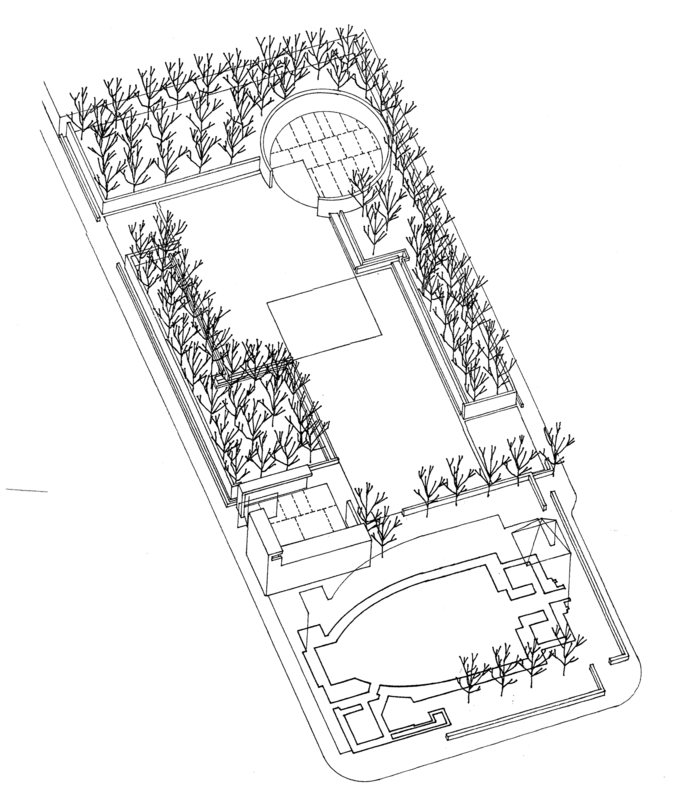 Other proposals, from the fanciful to the practical have been made to which we are adding the obvious. 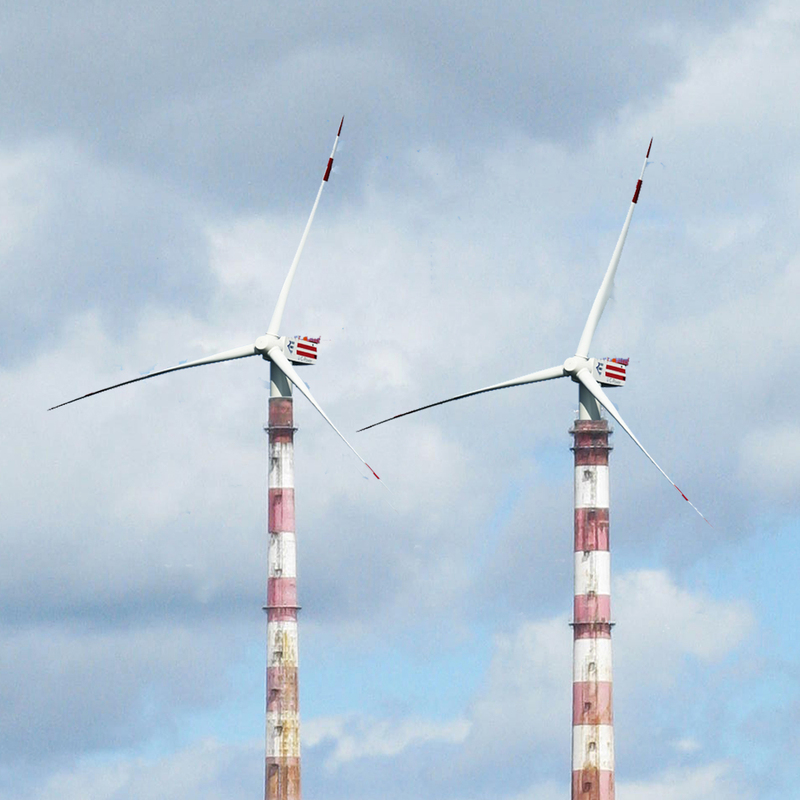 As both a symbol of a new era in abundant energy from non traditional resources (those other than the burning of coal, gas, oil or nuclear fuels) the ESB could re-purpose the towers to wind power. While the elements require some strengthening (internal steel lattice) they could be the masts to two elegant windmills. 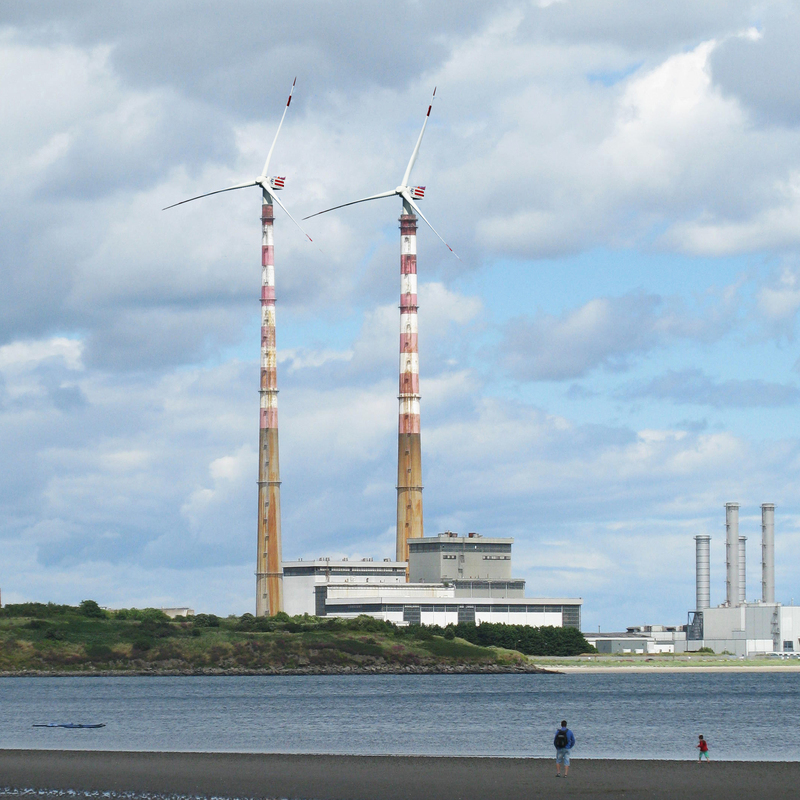 This would be a potent symbol for an energy independent future right at the gateway to Dublin and Ireland. Moreover this would be a wonderful opportunity to provide a test bed for newer blade technologies. Glinting in the sun and riding high on the winds they would be a welcome addition to the windsurfers on Bull Island at the heart of the designated UNESCO Biosphere.